As the Lonely Planet says, Kyoto is the place where even the Japanese come to learn about their own history and culture. For a thousand years it was the capital of Japan which may explains the incredible number of temples and shrines (over 2000!). 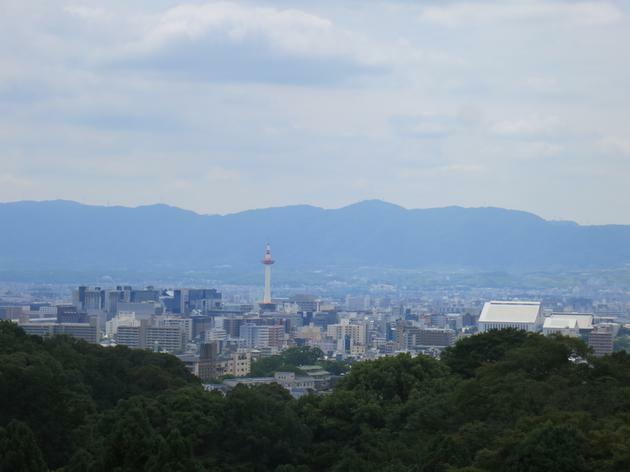 Kyoto cannot be visited in one day and requires a lot of walking! I would say the minimum duration of your stay should be three days but you could be busy for a week. The best way to go around is with buses as the subway system is very limited. They are daily bus passes available. There are a few unmissable place to visit. I started my three day stay by visiting the famous Bamboo forest. Although it’s impressive because how big it is, I preferred the one in Kamakura as the atmosphere was much more zen. 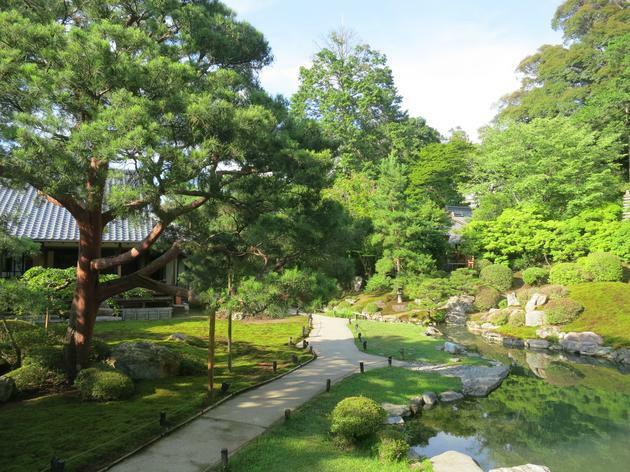 The Tenryū-ji temple right beside the forest has a beautiful zen garden. A bus ride away is Kinkaku-ji, a zen temple famous for its Golden Pagoda. The sight of this house sitting over the lake is magical and a must see. The garden around it is also a pleasure to walk into. 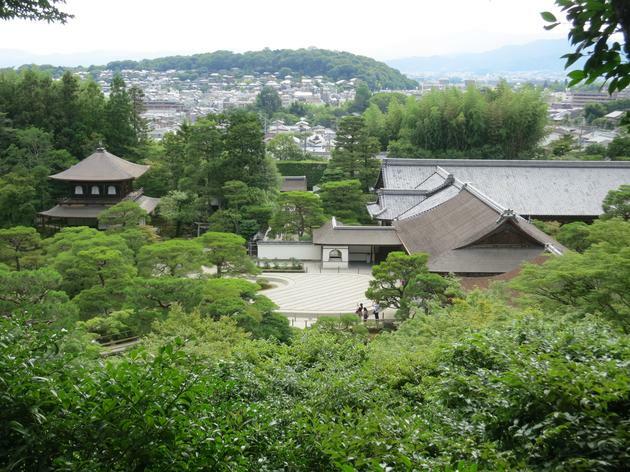 In a similar vein, Ginkaku-ji, located on the opposite side of town from Kinkaku-ji, is famous for its Silver Pagoda. The massive number of tourists makes it hard to fully appreciate the place but the garden is truly magnificent. I discovered my favorite temple in the end of my first afternoon. The sky had become blue and the sun was starting to set. I went into Shōren-in a bit bored as it was the tenth temple of the day. I was the last visitor to get in and the only one inside its walls which made my visit more special. I loved this place because it’s one of the rare temples where you can actually visit the interior, walking on the tatamis. The zen garden around the building is also amazingly beautiful. I could have spent hours in this place. Nijō-jō, Kyoto’s castle, was the residence of the Emperor. The main building is very interesting. The interior is what you would expect from a Japanese building, tatamis and sliding walls. Although minimalistic, I found it beautiful. 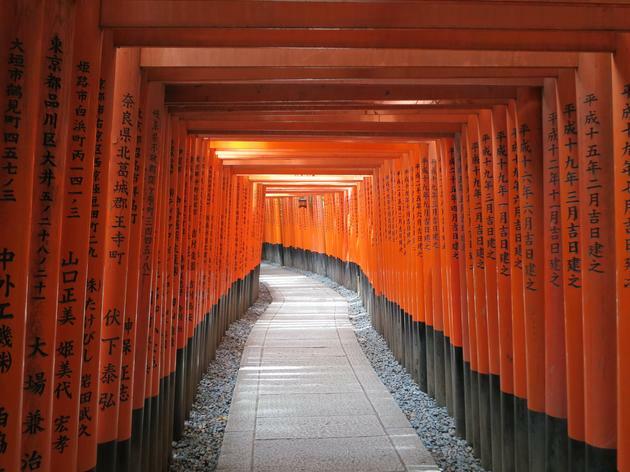 One of the best things to do in Kyoto is walk under the Toriis of the Fushimi Inari-taisha shrine. Thousands of Toriis (ie. gates) are lined up to form a four kilometer long path on the side of the Inari mountain. The view from inside the path is amazing and it makes great photos (I took a LOT!). Finally, a visit to Kiyomizu-dera with its terrace, its view of Kyoto and the shopping streets surrounding was a good way to end my trip. This is only an overview of the places to visit, there are much more! Although Kyoto is very interesting, I got a temple overload after three days. Fortunately, there are other things to do (it’s famous for its nightlife) but three days was enough for me.